Our Products « Heathwood Oil Co., Inc.
We stock the complete line of Motocraft package lubricants. 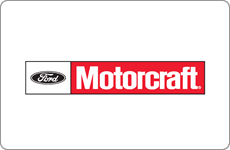 In addition, Heathwood Oil is the exclusive distributor of MOTORCRAFT OEM bulk oils and transmission fluids. Ford vehicles need many special OEM fluids that are not readily available in the aftermarket. We carry these products in bulk, barrels and cases. CASTROL automotive lubricants feature one of the nation’s best selling passenger car engine oils – CASTROL GTX. CASTROL’s full line of synthetic oils, CASTROL SYNTEC, is a leader in the industry. 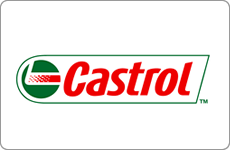 CASTROL is also gaining popularity with motorcycle owners. We carry many other products to help your repair and maintenance facilities be more profitable. 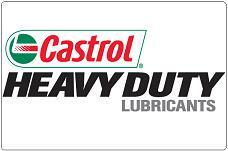 The Castrol Heavy Duty line meets the specific needs of both On Road and Off Road applications. Castrol’s engine oils are designed to work with today’s sophisticated diesel engines, providing excellent wear protection as well as extended service intervals. Castrol also has a comprehensive oil analysis program which may help reveal problems before a failure can occur in addition to other cost-saving benefits. 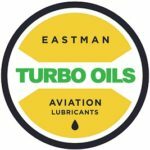 Eastman Turbo Oils features the best selling aircraft turbine oils in the world. They have just added a complete line of aircraft piston oils. 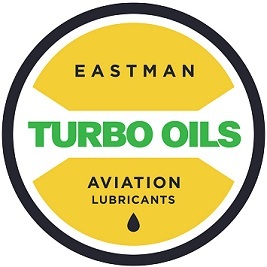 Complemented by a complete line of aircraft greases and miscellaneous maintenance products, Eastman Turbo Oils is your one stop for all your aircraft lubrication needs. CITGO is one of the largest lubricants producers in North America. 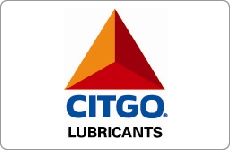 All CITGO products have a full written warranty. You cannot go wrong with this brand of excellent lubricants, at affordable prices. Clarion Lubricants offer a broad range of protective white oils in the Synthetic, Food Grade, Environmental and Technical formulations. In addition to offering high-quality lubricants for your specific commercial or industrial application, the Clarion product line also offers protection for your facility from contamination and downtime. Clarion has worked hard to develop products that help reduce environmental impact while without sacrificing performance. MYSTIK was acquired by CITGO several years ago. 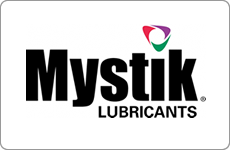 The MYSTIK name still stands for products using the highest quality base stocks and additives. 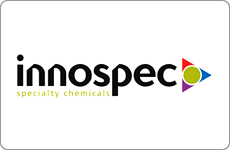 Innospec is the largest dedicated fuel treatment company in the world. Their focus has produced products that improve fuel efficiency, cold weather operability, boost engine performance and reduce harmful emissions. 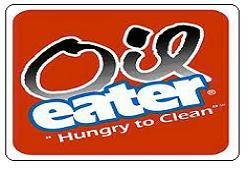 Oil Eater offers a clean and safe way to clean oil, grease and grime from any surface. Their water-based Cleaner Degreaser is non-toxic, non-flammable and non-corrosive. It can be used to clean parts, tools, engines, concrete and more. It is even safe enough to use on clothes, carpet and upholstery. Moreover, it can be used in parts cleaning machines, pressure washers, mopping or floor scrubbing. 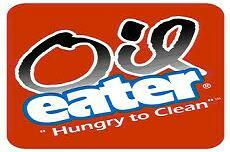 Oil Eater has one product that can meet most of your cleaning needs. 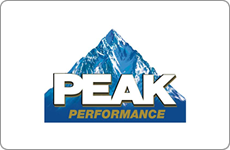 Peak is committed to quality. All Peak products go through rigorous testing at every level, and meet or exceed the performance requirements of every major car and truck manufacturer. You can feel confident that Peak Antifreeze and Coolant products offer maximum protection to your vehicles engine. UltraPure DEF® Diesel Exhaust Fluid is a nitrogen-based urea solution that helps clean the air by reducing nitrogen oxide (NOx) emission from the exhaust stream of diesel engines. 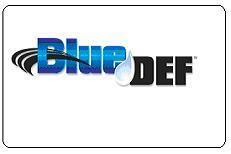 BlueDEF Diesel Exhaust Fluid is API certified to ensure optimum performance of Selective Catalytic Reduction (SCR) systems which is the process used by most medium and heavy-duty engine builders to meet EPA 2010 regulations. 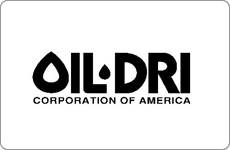 OIL DRI absorbent products will help keep your equipment and facility clean! 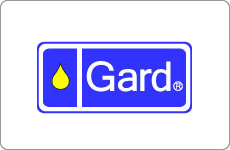 Xtreme, Gard and Syngard products are a family of economically priced full synthetic and synthetic blend lubricants, greases, fluids and automotive additives.